Koei Tecmo announced that the next Dead or Alive title, Dead or Alive 6 will officially hit stores on February 15th, 2019. 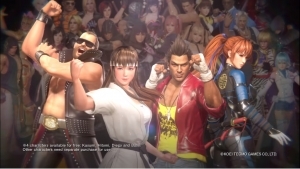 In addition to the release date news, Team NINJA also revealed the Dead or Alive 6 digital pre-order bonuses. PlayStation 4 owners who take advantage of pre-order sales will score a unique DOA6 theme as well as obtaining “The Female Tengu” Nyotengu as a playable character. Xbox One gamers who pre-order the title will also be able to download Nyotengu to their roster on top of receiving a pre-order bonus costume for the legendary Ryu Hayabusa. A special Early Purchase Bonus program for PlayStation 4 and Xbox One owners were also announced, as gamers who digitally purchase DOA6 by March 14, 2019, will receive a bonus costume for one of the game’s most popular characters, Kasumi. Those who purchase it early on Steam will collect the Kasumi costume as well as the Nyotengu downloadable character. 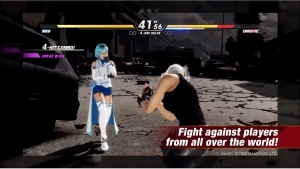 In addition, Team NINJA unveiled a Digital Deluxe edition of the game for the PlayStation 4, Xbox One, and Steam that will include a set of 25 extra costumes, three bonus musical tracks, a DDX exclusive Kasumi costume, and an exceptional character added to the lineup, the formidable Kasumi clone, Phase 4. More information can be found at this link.